-Started training martial arts since 1983, at the age of 11 (Karate-Do, Shito Ryu, 1st. Dan Black belt). 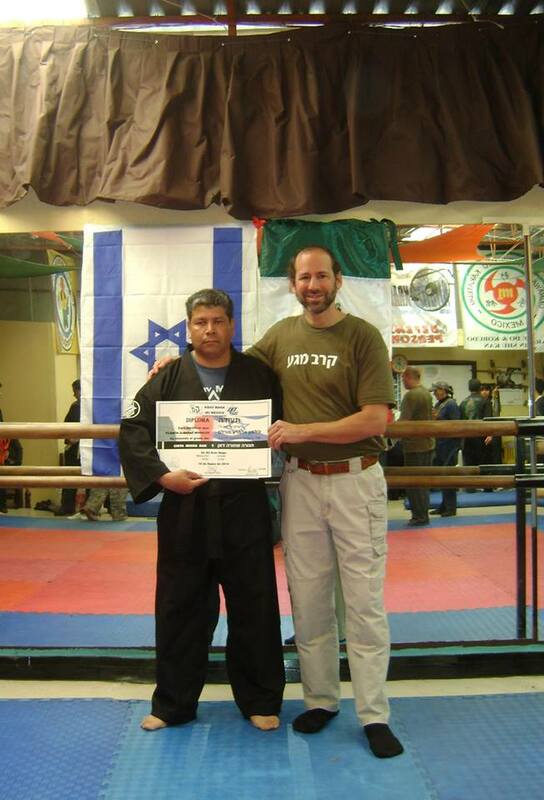 -Started training in Krav Maga in 1998, while living in Israel, and currently he is a 3rd. 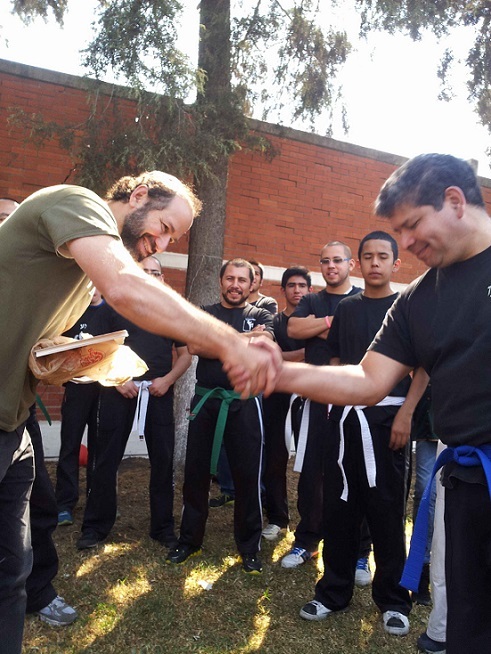 Dan Black belt/phase three instructor (Associate instructor) under IKI. -Has attended IKI seminars in USA and Tour and Training in Israel. -Has hosted many seminars in Mexico City. -Currently training: Krav Maga, kick boxing, Luta Livre Esportiva (Brazilian free fight) and Karate-Do (Training to get 2nd. Dan). -He also holds an M.D. Degree (Otolaryngology and Respiratory Sleep Medicine). 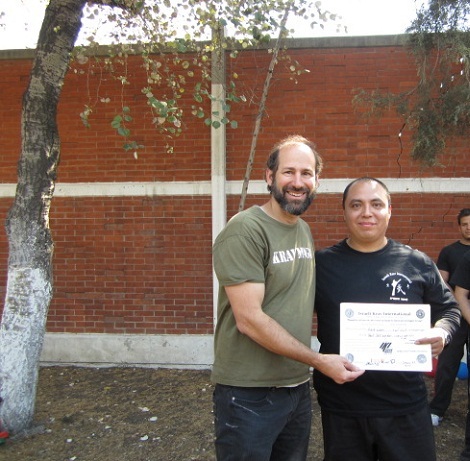 "Fili" being awarded rank by Moshe Katz, Mexico City. - Starts in Martial Arts in 1977, in Lima Lama. First Dan black belt in 1982. - Lima Lama instructor from 1982-2000. - Basic training in Judo, Shotokan Karate-Do, Tae Kwon Do, Nippon Kempo Karate, philipino knife and stick combat. - Retractile stick, defensive and evasive driving. - Starts training Krav Maga in 2007. 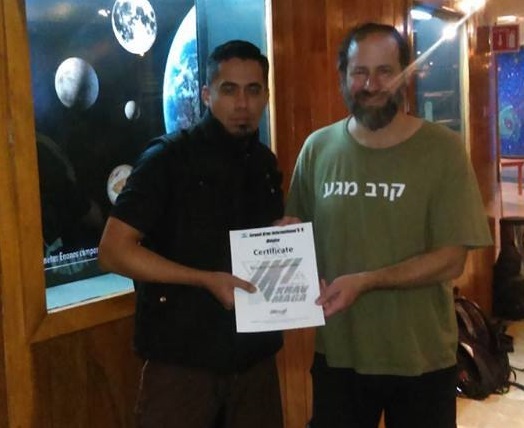 - 2011: Certification under Wingate institute, Netanya, Israel. - Currently: certified as Brown Belt and phase one instructor under IKI. - Has attended IKI 3 seminars in Mexico City. - Has hosted one seminar in Mexico City. - Experience in executive protection and Israeli combat. - Course of integral Physical Security, and Instructors formation under "Instituto Mexicano del Petróleo" (Mexico). - Risk evaluation of strategical facilities. 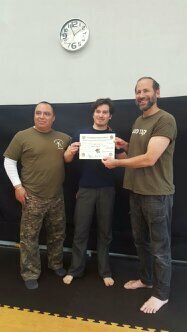 In January 2014, after many years of martial arts and Krav Maga training, Fili was promoted to Black Belt by Moshe Katz and Alberto Labra. -Wide experience in integral physical security, working with safety for strategical facilities throughout the Country. - knowledge about courses design according the Mexican laws (NTCL CRCH0665.01). - Training in first aids, VIP protection, Israeli combat (one person, couple, etc). Defensive and evasive driving. - Experience in mountain bike, rapel, climbing, etc. - Currently: Active in VIP protection service. - Started training Krav Maga in 2008. Reached blue belt under Bukan. - Currently blue belt and phase one instructor under IKI. - Seminar in executive protection (R.L. Oatman & associates). - Also has trained in: Lima Lama, Judo, Jiu Jitsu, Philipinian martial arts, knife fight and Arnis. - Served in the Mexican Army during 21 years (Military Police). - Security at strategical facilities. - Reaction and precision shooting, using short and long weapons. - Defensive and evasive driving course (2002, Pol. fed de Caminos, Mexico). Update courses under Magen team, Pegasso, etc. - Started training krav maga in 2009, reaching green belt under bukan. - Currently: Green belt and phase one instructor under IKI. 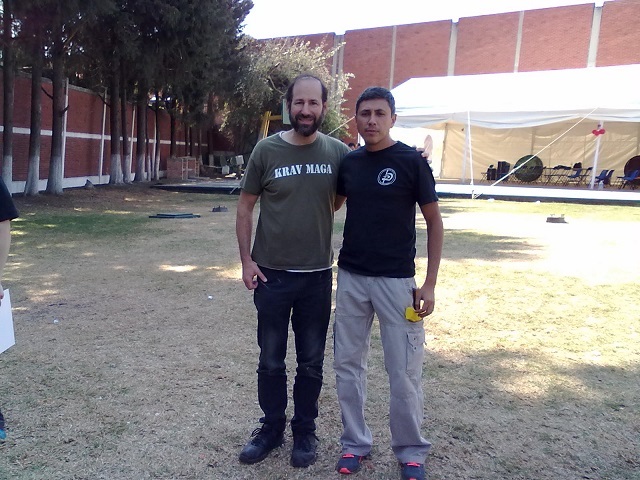 I met and trained with Cristian in Mexico City and found him to be an outstanding Krav Maga practitioner and instructor. 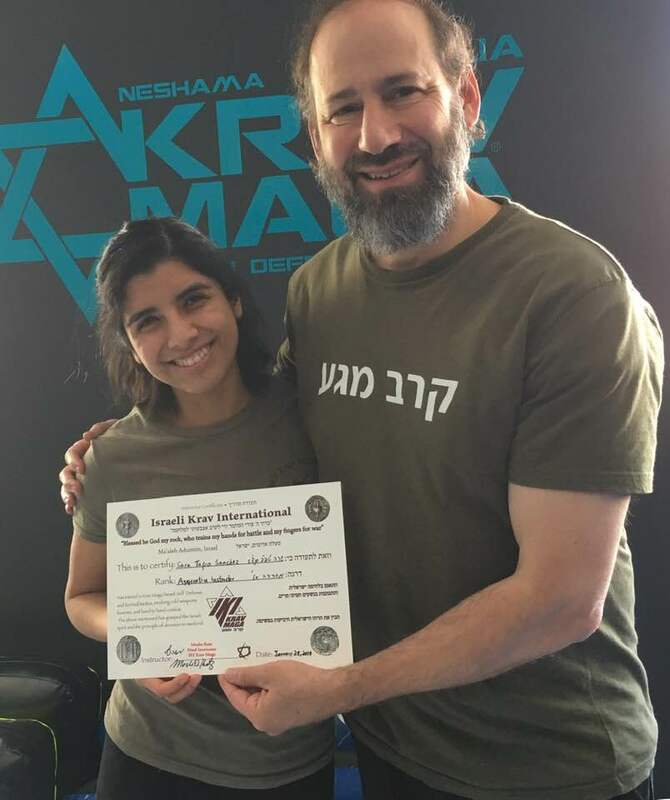 He comes to IKI with many years of experience in Krav Maga and other fighting systems, as well as multiple certifications. Degree in Communication Studies (BA in Communication Sciences), Concepción, Chile. He qualified as war reporter for the Third Division of the Chilean Army, training received by the Green Berets. 4th Degree Black Belt in American Kenpo style. 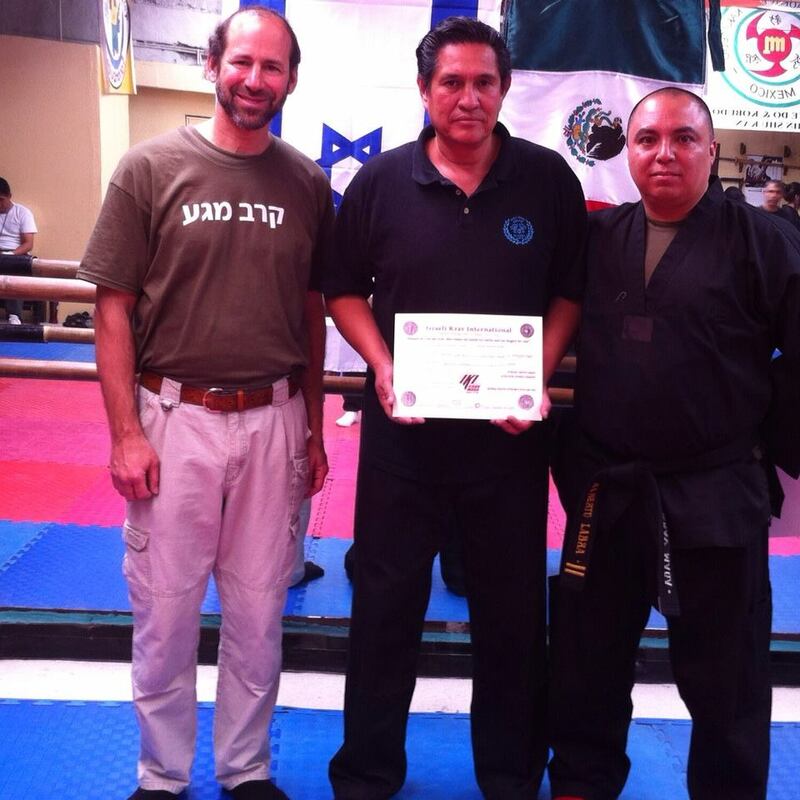 director of the International Kenpo Karate Association for the State of Michoacan, Mexico. representative of the Tactical Combat System International, is the degree of Tactical Shooting Instructor, awarded by the world president of TCS International, Ukraine Borys Vidichev. Eduardo is trained by Prof. Cristian Vasquez and chosen to lead the group. He is not only a highly experienced martial artist but a role model and a gentleman. It is an honor to count him among our instructors. - Has attended 3 IKI seminars in Mexico City. Gustavo has been training for many years with Alberto Labra. 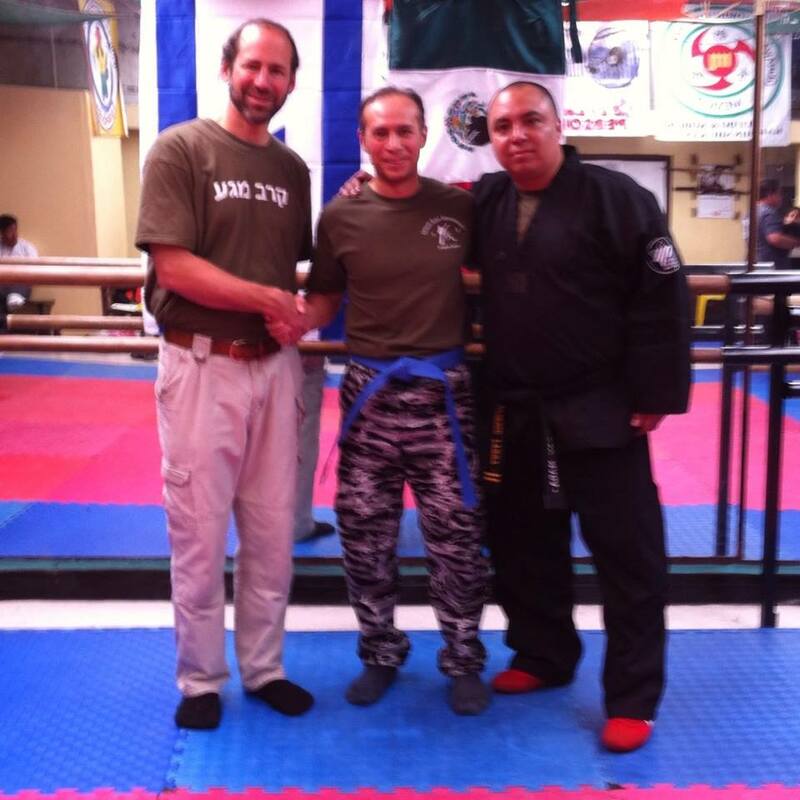 In January 2014 Alberto Labra and Moshe Katz promoted him to Apprentice Instructor and Blue Belt. 22 years of martial arts training in various styles. - Trained in Kung Fu for 3 years. - Has attended various martial arts seminars including an Aikido and Jujutsu applied to Krav Maga seminar, anti-Kidnapping techniques seminars - Currently training Krav Maga under IKI, Aikido under Shosenjuku Aikido and Ninpo Budo Taijutsu. - Has trained Karate Shito Ryu and Shu Tae Do, reaching a Brown belt degree. - Black belt Sho Dan in Jiu Jitsu, under the Mexican Jiu Jitsu Federation and Jiu Jitsu Association of the State of Mexico, Sensei Enrique Amador Romero Reyes. 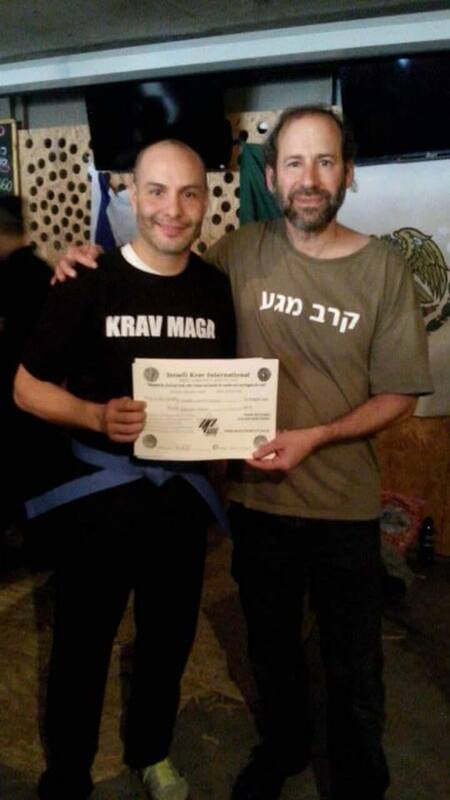 - Blue belt in Krav Maga, under IKI, Moshe Katz. - Phase one Krav Maga instructor under IKI. - State, National and Continental referee of Jiu Jitsu. - Has attended a number of Krav Maga seminars. - Has attended Luta Livre seminars under GM Roberto C. das Neves Leitao. My name is Juan De Jesus Abarca, am thirty eight years old. I was born in Acapulco Guerrero, Mexico in July 20th 1978. Two weeks later after my birth day, my parents brought me to the state of Michoacan in Lazaro Cardenaz Port. At the age of nine I started in martial arts of self defense, since I suffered of bullying at that age. Since then I tried different martial arts techniques and styles. I also drove my life in the wrong way; fighting, doing drugs, getting drunk, getting in trouble that didn't concern me. Until one day, someone sent me to jail for five years. I lost everything I had earned, I went to hell. I learned in the hard way how to appreciate life and be thankful for everything I lost and what I am working hard again as well for my family and friends, after jail I thought it would be a good idea to keep my mind busy training self defense again as a sport. When I heard from Krav Maga I said, this is for me!!. 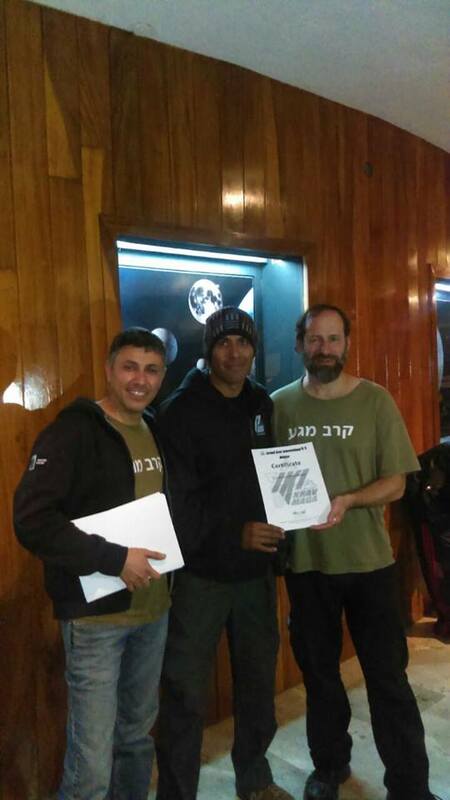 I always wanted to be a bodyguard, and after four hard training years, when people wouldn't give a penny for me... but thanks to my instructor Cristian and my master Moshe Katz that gave me a chance without knowing me, not judging me at all all . For them am now working as a bodyguard. Thanks to my parents that me their support even when we live far from each other, to my two great friends and relatives that support me and still do since I was in prison to my son and daughter that were my moter and reason to better person and keep fighting for life for not giving up, to those that supported me me and finally to Krav Maga, that presented me to people that put their trust on me and I will always be thankful. Thanks IKI and Krav Maga!!!. Sara Tapia Sanchez, Morelia, Apprentice Instructor, January 2019. First female IKI instructor in all of Mexico, a patient and outstanding instructor with a kind heart and a glowing soul.